When you fly over this area it is clear to see that the Bahamas is blessed with a lot of what we love; beautiful, long white sand beaches and crystal clear water that is contrasted by a lush green that sets it off as a gem in the midst of the Atlantic Gulf stream. And no wonder pirates loved these islands. Build a bonfire and keep the bugs away, count your loot. In the morning pick a coconut or two. Come to Club Med Beach on Eleuthera and imagine yourself a pirate. We did! Club Med once had a resort here. Now it’s on Columbus Isle, close by. Why did they first choose this area? A look around the beaches and surrounding land will reveal that this choice property is perfect – shade, beach, breeze – everything… except Mother Nature. You just can’t predict everything. What Club Med Beach is very well known in this area of Central Eleuthera, is for Club Med being destroyed by hurricane Floyd in 1999. The beach, though suffering at first from the harsh weather, looks as pristine as though it was never even touched. The beach is in a perfect location as it is 5 minutes away from Governor’s Harbor and settled quietly on the Atlantic side. Atlantic side beaches are usually well known for being rougher water beaches or wavy to say the least, but Club Med Beach is actually calm and there aren’t many waves. Casuarina trees are abundant in this area and provide a fair amount of shade for any visitor to this perfectly long and wide beach. You’ll really get a kick out of those trees on the hotter days of the year, trust me. The water is very clear and stays shallow for quite some time so feel free to wade out and have the time of your life with waves gently lapping against you. For beach walking, consider walking in the evenings or even the mornings and be sure to make plans for the heat in the hours in between. Once the sun comes out to play, you’re going to want to swim. This is perfect because the water is warm and there are plenty of good snorkeling spots at the south and the north ends of the beach. For this you are going to want to go on a calmer day because although this beach is fairly calm, it is still an Atlantic side beach and on certain days it will be rougher than usual. Club Med beach is a popular beach because of its shallow waters, pink sand, and over beauty. Don’t expect to be alone here, but the length and width of the beach more than make up for passing by the occasional visitor. There are also a few higher end houses on the shoreline, but there is no longer a Club Med, as it was torn down in 2004. Rebuilding of some of the old buildings and a transformation into a project entitled “French Leave” is in progress, but the beach remains open. Sand – Pink sands, very sandy. Facilities – Some private housing and new buildings, French Leave. Shade – Casuarina trees along the shoreline. Sports – Walking, swimming, snorkeling on the North/South ends. Light bodysurfing. 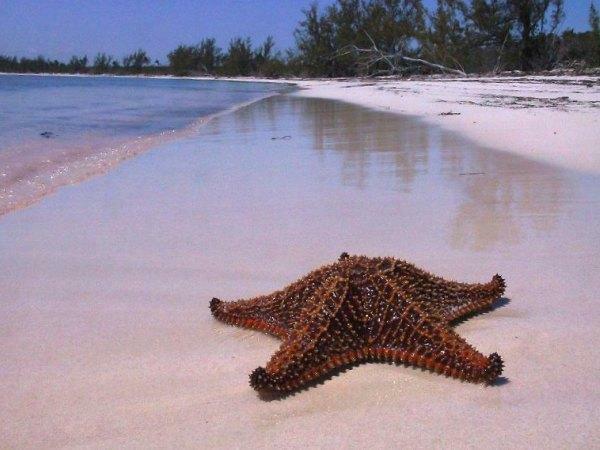 Notes – A great location and perfect conditions make this the best beach on Eleuthera.